Lifting a pitchmark left by the golf ball hitting the ground is essential to keep a green's surface as even as possible. 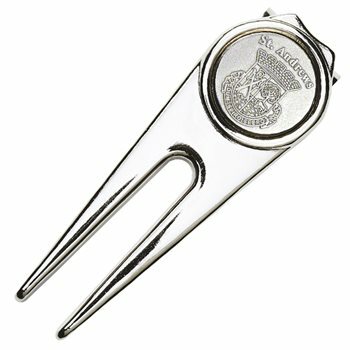 The St Andrews Deluxe Pitchfork features a magnetic ball marker on the front and a clip on the back. Clip it onto your pocket or your golf bag.